With every incoming rating, your ProvenExpert profile content (name of the rating party, data, star rating, review) is added, then registered as current by the search engine and therefore rated as relevant. Content generated by users, referred to in the industry as „user-generated content“ , includes content that Google rates as especially relevant without you having to do anything. So every new rating is a clear bonus if you want to keep your profile interesting for search engines. However, a high response rate is not just an advantage for Google. You as a business owner invest quite a bit of time when acquiring customer opinions - and as we know, time is money. So, you want to make sure that you invest this time wisely and make it possible for your customers to get through the rating process easily and intuitively. To get as many responses as possible, we have compiled five tips in this blog that you can use to effectively create the invitations to send to your customers. 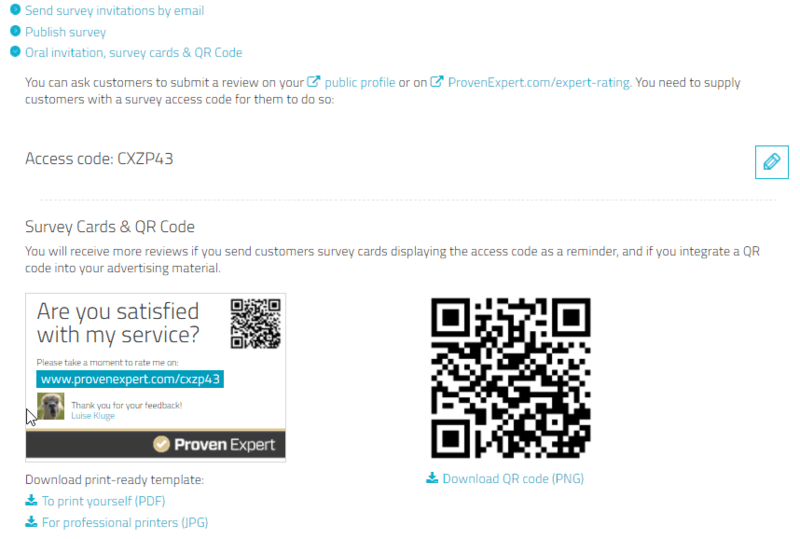 ProvenExpert offers a variety of options that enable you to acquire ratings: via email, by inviting customers to take a survey, by publishing surveys, by verbal invitation or with survey cards & QR Code. You can easily reach one or more recipients by entering them manually in the input mask. If the list of recipients is longer, though, this can be tiresome. This is why the email invitation mask offers you a clear advantage: you can use the address book icon to upload an entire address list in CSV format. When doing so, the names that you entered manually are automatically pulled from the CSV file. By the way, CSV means „comma-separated values“, i.e. individual values separated by a comma - this doesn't need to be taken literally for your purposes. To upload successfully, your CSV file must match the structure shown in the screenshot, whereas the columns First Name and Last Name can also be combined into a single column. You can find instructions on how to create a CSV file here. A drop-down menu for both the address as well as the subject line offers you the ability to use several different pre-set options or to enter your own version. We highly recommend the free text field here, because this shows that you are taking the time to address each of your customers individually. Note:Make sure to address each addressee appropriately. So, we recommend to either choose a gender neutral addressing option for long lists of recipients, or to include the female and male addressees in this distribution list one by one and then send out your message. The invitation text can also be modified. Feel free to use the preset text modules and adjust them to fit your needs. Of course, you can also use word-of-mouth advertising and ask for ratings. To do so, just give the person you're talking to the relevant access code for your survey. 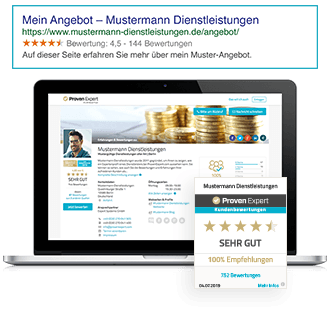 Your customer can then go to expertenbewertung.de and enter the code to your survey. Survey cards (as a PDF or JPG) and a QR code are generated automatically for each survey you create that you can then print yourself or have printed by a printing company. They include a link that directs your customers to the survey. You can use the QR (quick response) code for other marketing materials, such as flyers, as well. This allows you to reach even more customers, receive even more ratings and thus create even more transparency for potential customers. 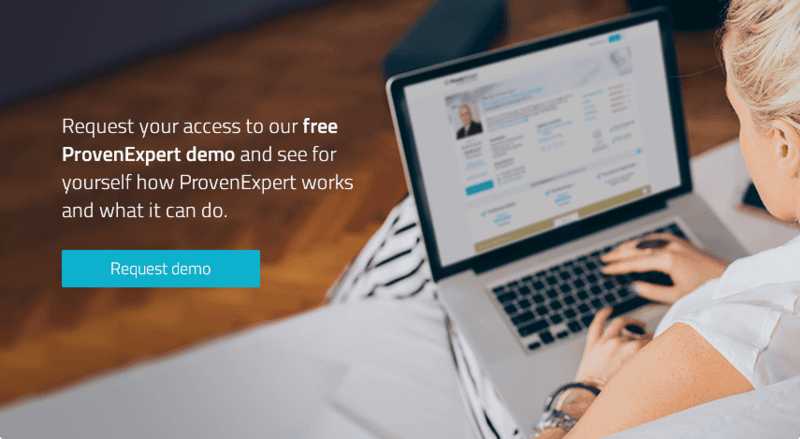 By making full use of all of the options that ProvenExpert offers, you'll be able to get more responses from your customers. More responses means more relevant content on your ProvenExpert profile for Google, etc. So, feel free to create several different surveys with even more specific questions. The more you can differentiate here, the more diverse your responses will be. Your potential customers search based on a variety of different criteria, so they will always find the rating that is the most relevant to them. This way you are guaranteed to stand out.